Who is more likely to buy a secondary graphics card for SLI: a person who can afford two enthusiast-grade models at launch for 800 USD each, or a person who buys secondary mid-range graphics card two years later (to boost the performance of the rig)? Well, it does not matter anymore, because the latter will no longer have this option. With Pascal, NVIDIA removed the SLI connector from GeForce GTX 1060, which was occupying the most popular segment for graphics card owners. The criticism had no meaning to NVIDIA, it was a business decision to avoid cannibalizing GTX 1080 sales (two 1060 would be faster than 1080). The story continues. The GeForce RTX 2070 might not even be using TU104 GPU, but a mid-range TU106 instead. The card clearly has a different board and different Device ID. It seems that the whole GPU segmentation has shifted and we are now paying more for the same GPU-classes than before. The official website also claims that NVLINK is only supported by RTX 2080 and RTX 2080 Ti. Official Founders Edition pictures and first aftermarket RTX 2070 design from Gigabyte, also indicate that NVLINK experience will not be available under 699 USD. 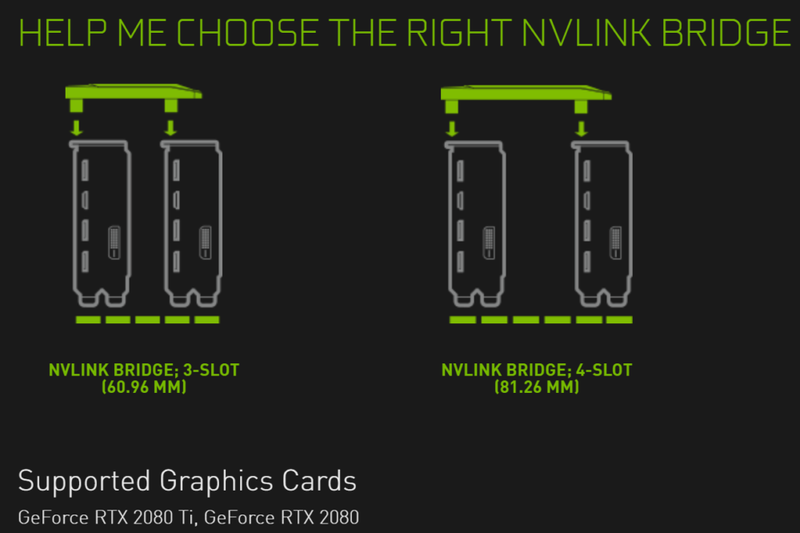 It is really hard to defend the argument that NVLINK is just expensive to implement, NVIDIA could easily adopt the old SLI bridge instead. The missing dual-GPU link is simply not there.